On 26th July 2017, LDUK was delighted to welcome Sonia O’Donnell from NTA Clinics to take part in a Q&A session with us, answering pre-submitted questions from group members. Thank you so much for joining us Sonia and for sharing your treatment approach and knowledge with us! Sonia is the Senior Practitioner at NTA Clinics and has been working in naturopathic medicine for 16 years. 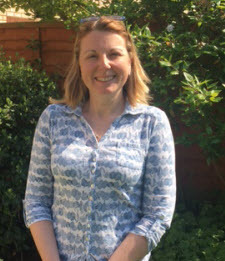 She is a qualified homeopath and bioresonance practitioner and was trained at The College of Practical Homeopathy. She has experience in treating Lyme disease patients, autistic patients, CFS/ME patients as well as people with other chronic and complex health problems. Sonia combines bioresonance with homeopathy and herbs as part of her work at NTA. She has also trained many other homeopaths as well as lectured at Homeopathy Colleges and Conferences, focussing on integrating different modalities of treatment and managing clients with chronic illness. In addition to in-person consultations, NTA Clinics offer an online service, NTA Life which is a health information hub offering step by step modules on natural medicines, diet, supplements etc.